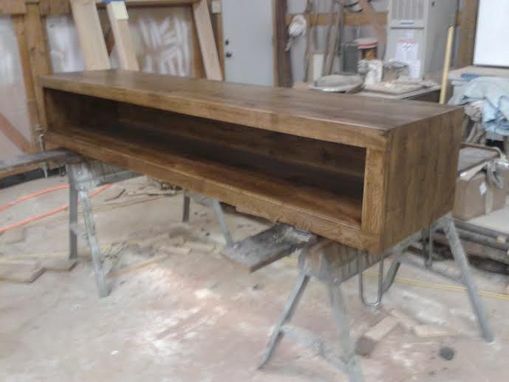 Solid Rustic White Oak Entertainment Console. 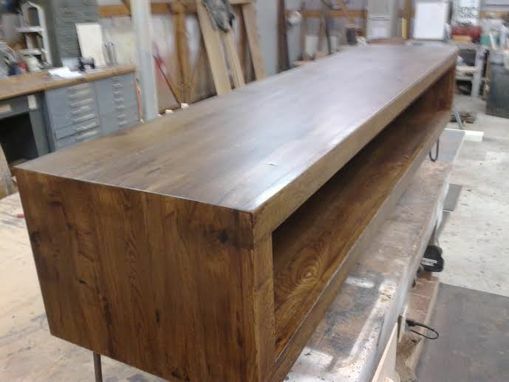 Console is 80" X 18" X 16". Yours can be customized to your specific needs. 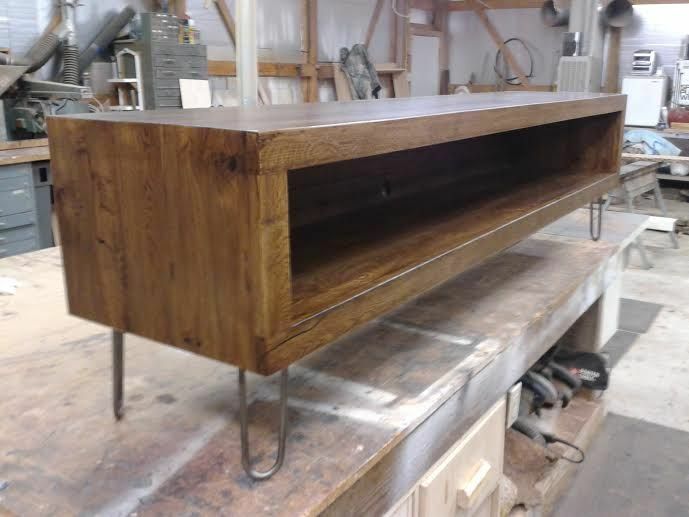 The legs are custom made hair pin steel.